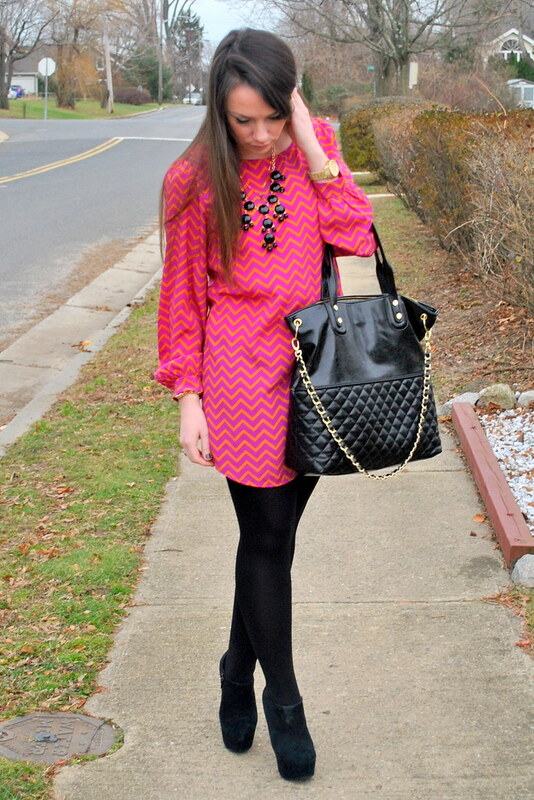 The deets: Everly dress; Trend Snag necklace; ShoeMint booties; Michael Kors watch; J.Crew tights; Steve Madden bag. I love when you can take a piece that's been sitting in your closet since the summer collecting dust and rework it with a simple pair of tights to make it wearable for the wintery months. I basically survive on this trick when packing for long trips home since they usually work for day and night activities. This just so happened to be my Christmas Eve outfit (which my little cousin helped me pick out - thanks, Sarah!). 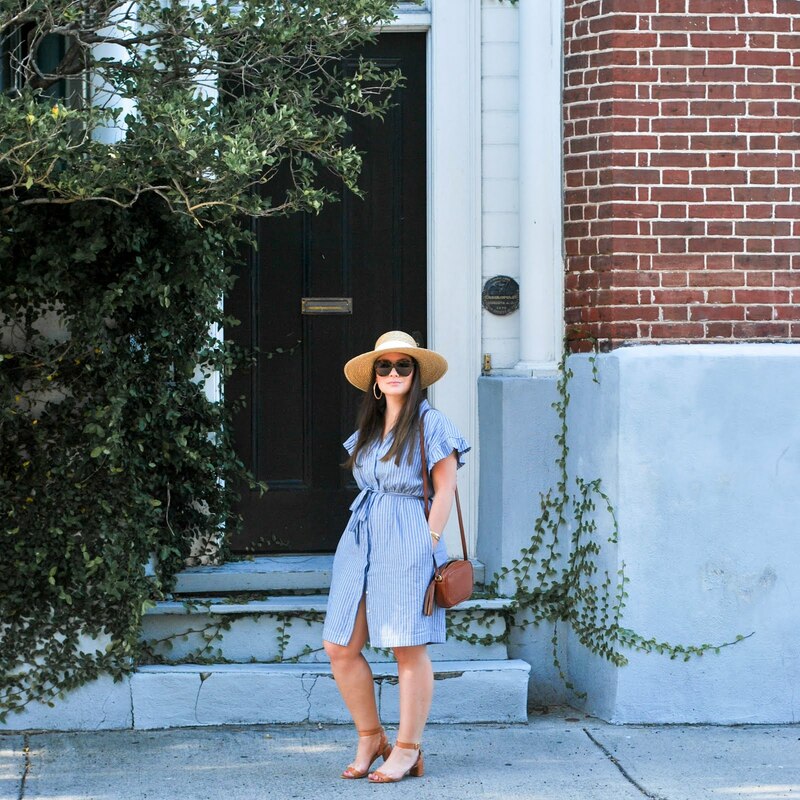 Happy to be back in the blogosphere! How were your holiday breaks? Lovely dress, dear! You look so good! You look beautiful in this dress. Happy New Year! So Pretty! Happy New Year Love! You look gorgeous! I love the color of your dress, and that bag is fabulous. 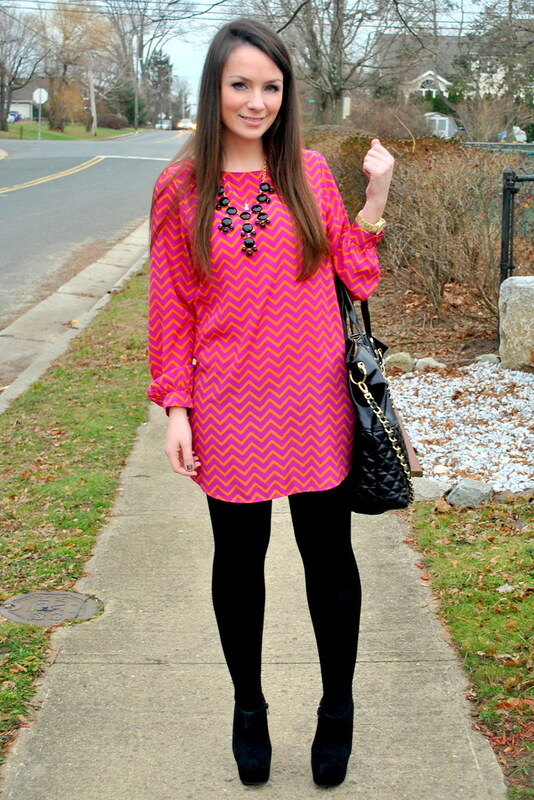 love your zig zag dress paired with the bubble necklace! Best dress ever. So adorable! Happy New Year! fabulous outfit! 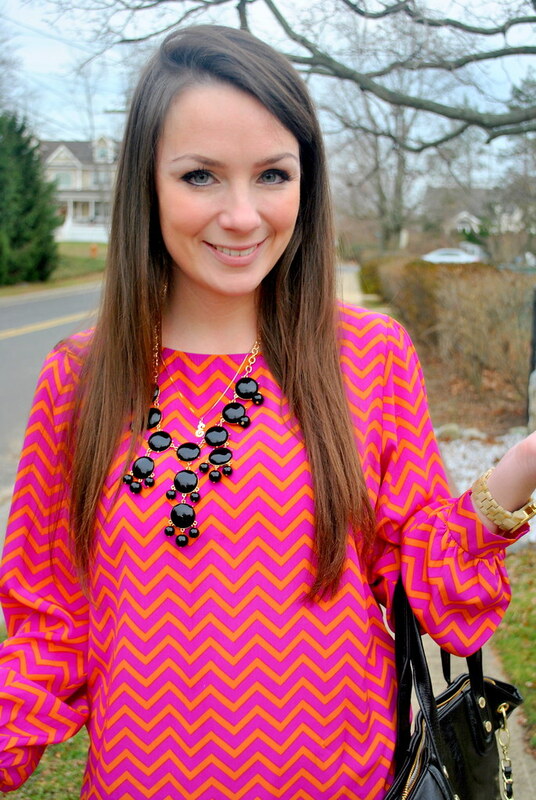 love chevron prints, and i also like the black accessories with the brights.